Recently I was set a task for my spiritual development: I was to incorporate the Four Paths of Yoga more fully into my life. Did you know that yoga is much more than postures, breathing and meditation? Each Soul is potentially divine, and the goal of yoga is to manifest this Divinity within by controlling nature, external and internal. We can do this either by work (karma yoga), or worship (bhakti yoga), or psychic control (raja yoga) or knowledge (jnana yoga) – by one, or more, or all of these and when we do we shall be free. Always remember that the bringing forth of Divinity within us is the whole of religion. Doctrines, or dogmas, or rituals, or books are but secondary details. What most of us think of as ‘yoga’ is actually part of Raja Yoga, which is the path of mind control. After all, the main intention of postures or asana in a true yogic sense is to purify and prepare the body for meditation. The concept I was given was to incorporate the four paths of yoga into my life, or in other words, to make my life my yoga practice. The first path I was to work with was Karma Yoga, the yoga of selfless service. My task? When someone asks me to do something, I am to say ‘Sure!’. No attitude, no thoughts or complaining, just ‘Sure!’. My first thoughts? I’ve got this covered. I’m a mother and a community volunteer. I’ve been in service for a decade. Karma Yoga? No problem. I didn’t have to wait long for my first opportunity. “Mum!” said the Fairy Queen. “I can’t find my shoes!” She was standing there, all tousled hair and big eyes glaring expectantly at me. I look at her for a moment, considering. “So, what would you like me to do?” I asked. With that simple utterance, I felt perfect ease and acceptance as I located her shoes. I recognised that normally I would be irritated that she had kicked her shoes off without care, impatient that I was being interrupted, rudely at that, and annoyed that I was always the parent asked to do these tasks. I realised in a flash of insight that subjecting myself to these emotions were causing me far more pain than the actual situation warranted. I flash back to my smugness over my Karma yoga practice and cringe a little. Yes, sure I am a mother and I do a lot of unpaid, unnoticed work every day. Yes, sure I volunteer in my community and expect no payment for my work. But there is more to Karma Yoga than this. It’s about selfless service. Work with no attachment to outcome or recognition. This is about work as service in the spirit of love. It’s the next level, people. But let me tell you something I noticed as I began to work with service in this way. People don’t ask for what they want properly. I have a friend over, and we’re looking for a place to sit outside where it’s not too hot. We decide to sit on the back verandah, and start to walk towards it. I feel irritated by this exchange. Why didn’t he just say straight out what he wanted? But later it occurs to me that this disability is not just limited to my family – many people do not feel comfortable in asking for what they want. People don’t know exactly what they want – they only know what the problem is or what they don’t want, therefore framing their request as a complaint. 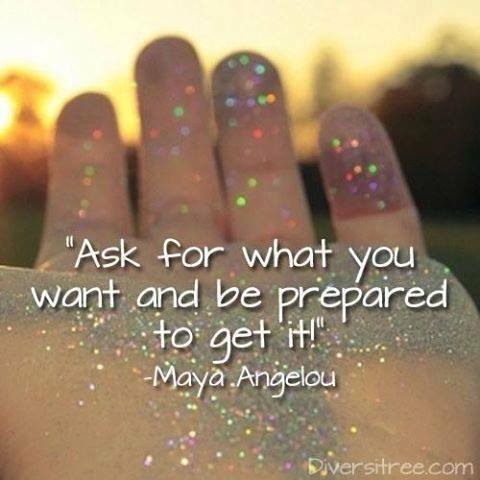 There is a vulnerability in asking for what you want. When you ask somebody for help, you are essentially saying: I don’t have everything I need, I am unable to provide it for myself, and I need your help. Not everyone feels comfortable with this. There is an assumption that people will know what you want so you don’t need to clearly articulate it. Common in families, it relies on someone interpreting and mind reading what you might want, problematic at best. Now that I’ve noticed, I’m going to keep an eye on myself to see how I ask for what want. What about you? Next Ten things I would tell my kids about life, love and the Universe. Hello lovely – that was quick! Yes, agreed. Communication is also a passion of mine – my aim is to be as clear as possible so that people don’t walk away from a conversation with me wondering what I meant. That being said, I am watching to see how I ask for things…perhaps I am not as clear as I think! Yes. I think that sense of being uncomfortable is the vulnerability I mentioned (maybe they don’t like me enough to do this for me, maybe I don’t deserve it, maybe I haven’t done enough). I have to assume that people mean it when they say ‘yes’. What chance have we got if we have to interpret under people’s words all the time? 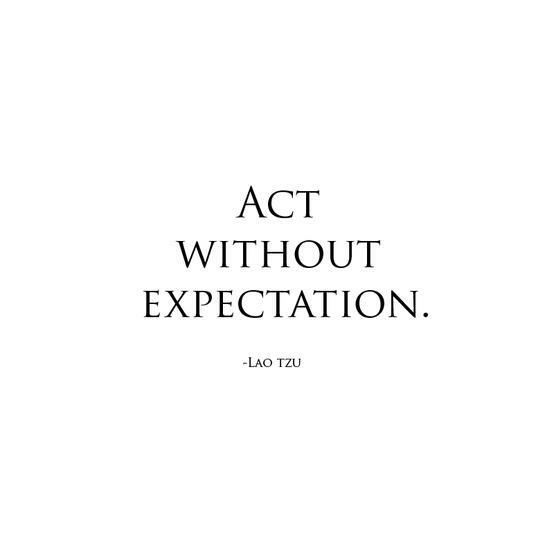 Some people have no problem with asking for assistance, asking for ‘things’, ‘stuff’, then there’s the problem of ‘oh yeah, that wasn’t quite what I had in mind… So equally we must not have expectations… as they lead to disappointment, another tool of Karma Yoga- Swami Satyananda Saraswatti. yes, that’s right. Some people have no problem asking for what they think they want. But I am interpreting karma yoga as service – as in ‘can you do something for me’ not ‘can you give me something.’ Otherwise i would have to say yes to every food and toy request! And truly, people don’t know what they are hungry for, which is why when they get what they thought they want, they are not happy. Yoga sounds almost religious, rather than the few glorious poses I’ve always thought it to be (which is probably what you get when you do ‘yoga’ at your local Fitness First!). I have no problem with selflessness (of course!) and I think the whole world could use a little more of it. I might have an issue if my own selflessness bordered on being-taken-for-granted which I think is human nature when you’re the one doing the asking. Especially the kids. I quite like reminding them that they need to be careful with their shoes because it drives mumma absolutely insane (INSANE) when they don’t put them away. It’s a shoe thing and it’s a taking care of yourself thing because it’s noone else’s responsibility to do that but your own. Hey Maxabella, thanks for your comment! Yoga is not supposed to be a religion (at all) but humans being humans try to make it into one (some of us can’t help themselves it seems). It’s definitely much bigger than most people know. I don’t practice yoga like a religion (I am allergic to dogma) it just helps me to cope in the world, you know? I am definitely not in favour of being a slave or even a servant, and oh my, kids want to make their mothers into all of the above! It’s not about being a doormat either, and it doesn’t stop me at all from making sure my kids put their stuff away. But if am needed, then my task is to serve consciously and selflessly, without all of the baggage that can be associated with it. Anyway, that’s the idea 🙂 Nothing like the summer holidays to test a woman’s patience!